High quality solar panels from Germany! The demand for solar panels is constantly growing. In light of this global development, solar energy has grown to become a booming sector of the economy. However, this increased demand also has a flip side; in addition to proven manufacturers with high-quality goods, competitors with cheap products have also stormed the market. A solar power installation is a finely-tuned system where the interaction of various components determines both the yield and the lifetime of the equipment as a whole. 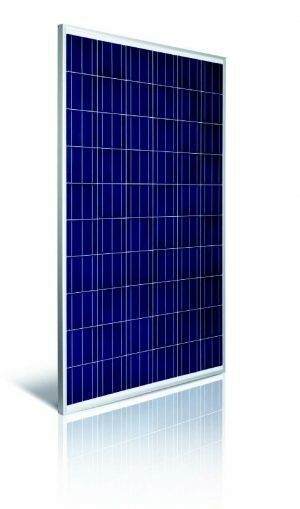 However, the effectiveness of the photovoltaic modules is also highly dependent on the quality of the solar panels. But which solar panels should you pick? “Made in Germany” solar panels are the global leaders, but Asian countries have increased their share of the market. Chinese module manufacturers in particular, have attracted attention due to their especially low prices. Pressure from increasing competition has finally caused the leading German manufacturers to lower their prices as well. Although consumers profit from the lower costs, they are often faced with uncertainty when it comes to judging the quality of such panels. Certainly, other manufacturers also have good products on offer. However, outstanding results from product reviews and inspections consistently prove the quality of products from German manufacturers. In addition to obtaining the best ratings for reliability and error rates, premium manufacturers also score with long product lives and high performance. But quality has its price; compared to the products from the Asian markets, these products are in the higher price ranges. The math is simple; brand-name products that are made in Germany may have higher acquisition costs, but experience and tests show that buying quality goods yields a very good return on investment. Such products suffer from fewer malfunctions, are more weather-resistant, and last much longer. Therefore, when investing in solar panels that are to be used for at least 30 years, it makes sense to pick a quality manufacturer. This is because the quality of the solar power system as a whole determines its yield and profitability. We at Meister Solar are uniquely qualified, thanks to our many years of experience on the solar panels market, and we would be glad to provide you with a quotation utilizing high-quality products from conery and mp-tec. Please feel free to get in touch with us. We provide advice on all matters related to solar panels and will gladly help you cut costs with your photovoltaic system.